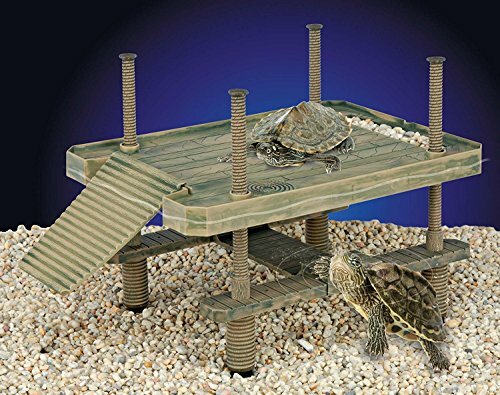 Turtle Pier floats just above the water line of your aquarium which allows your pet to rest and eat outside of the water. 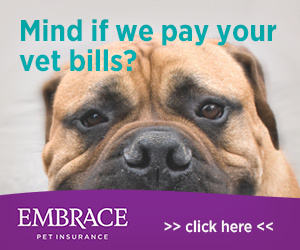 It allows for more interaction and close up viewing of your favorite friend. Pier rests on 4 pylons that are attached with suction cups at the bottom of the tank. These supports can be adjusted as low as 3 inches for tanks without water or up to 16 inches for tanks with water. 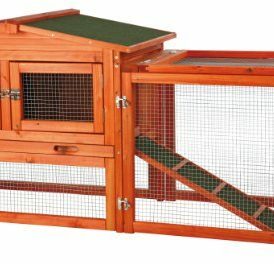 Easy docking ramp allows your turtle to easily climb to the upper level. Pier has a gravel bin to that is used to counterbalance the weight of your large turtle as they enter the ramp. Gravel sold separately. 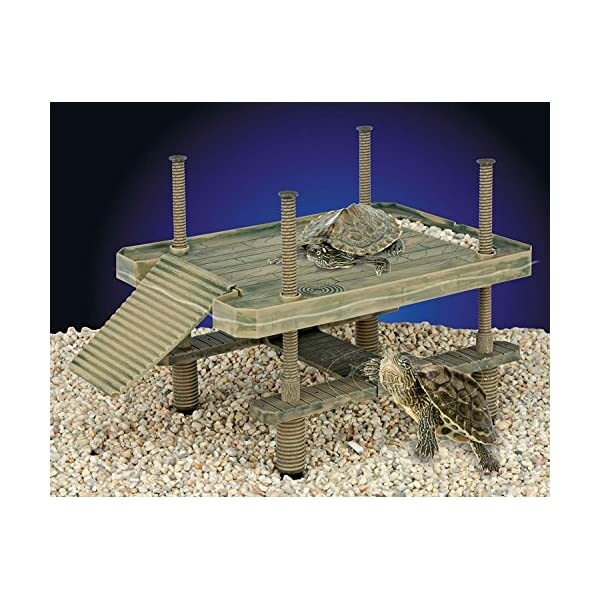 The Penn Plax Reptology Large Turtle Pier is a great way to interact more closely with your favorite reptile pet while also satisfying their natural urge for basking. Pier can be used both as a floating platform when placed in water or can be used in terrarium environments without water. When placed in an aquarium, the turtle pier will float just above the water line and stays in place with 4 pylons that attach with suctions cups at the bottom of the tank. Platform is suitable for 20 gallon tanks and up and pylons can extend from 12 inches to 16 inches if needed. Turtles will enter the platform on the ramp which is specifically designed for their shape making it easy to climb up and down. Depending on the size of your pet, a gravel bin allows you to balance the weight by adding more or less gravel as needed (sold separately). When used in reptile tanks as a traditional basking platform, the pylon legs can be lowered to 3 inches and are secured with the suction cups to keep it from moving. In addition to the upper platform, many small reptiles will use the underside to fulfill their natural instinct for concealment and will rest underneath. 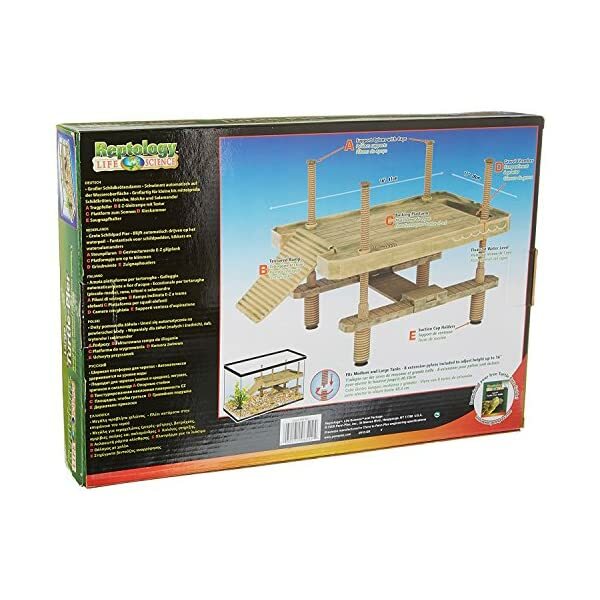 This basking platform is great for turtles but is also suitable for frogs, newts, salamanders, and other small reptile pets. It measures 16 inches long by 11 inches deep and will vary in height depending on the pylon setting. 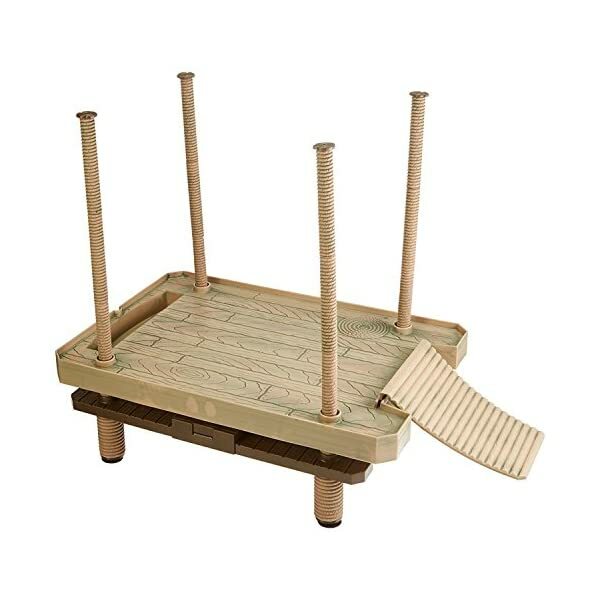 Turtle basking platform is made of quality, non-toxic plastic that is safe for both children and pets. Light assembly is required. 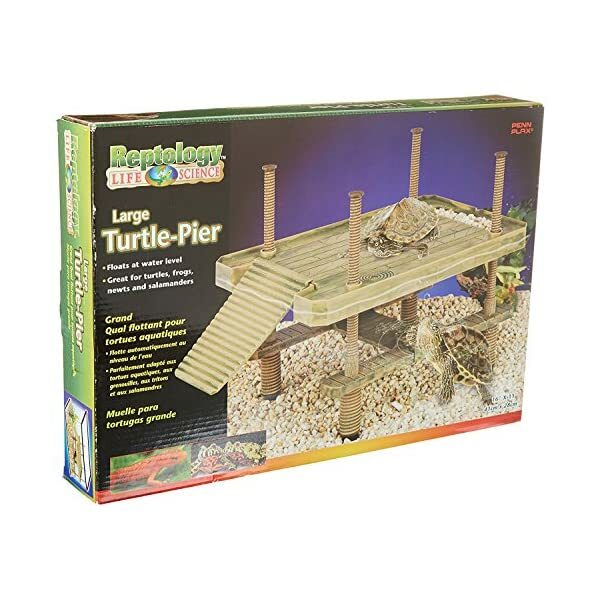 Turtle Pier can also be used in terrariums and other reptile habitats that don’t have water. It provides a basking platform but also allows satisfies their natural instinct to hide and rest underneath. 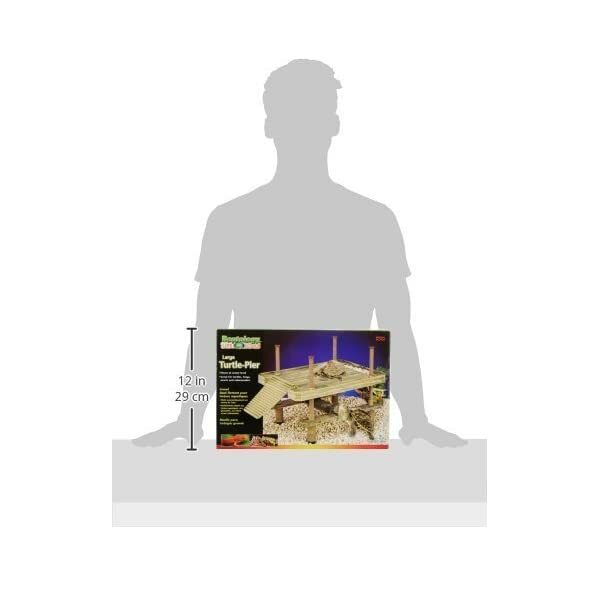 Reptile basking platform is designed for 20 gallon tank or larger. A pier measure 16 inches long by 11 inches wide and is perfect choice for frogs, newts, salamanders, and other small reptiles.